I'm a Psychotherapist and Supervisor who works from a Humanistic and Integrative perspective. 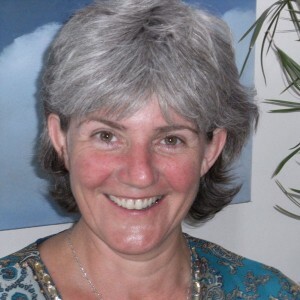 I am a psychotherapist and counsellor with a humanistic and integrative approach. I include breath and body work in my therapy along with imagery, art and movement. I am an accredited member of the IAHIP (Irish Association of Humanistic and Integrative Psychotherapy). My psychotherapy training was completed in 2003 with Dublin Counselling and Therapy Centre and I became accredited with IAHIP (Irish Association of Humanistic and Integrative Psychotherapy) in 2006. As an accredited member I undertake continuous Clinical Supervision and Continuous Professional Development. I maintain a private practice in Kenmare which has been home to me for the past 25 years. My work is supported by a daily meditation practice, time spent in nature, gardening and creative expression through art textiles.